The world of SEO service development should be on the lookout for the next Penguin update, which is expected to be released within the next few weeks according to Google’s Webmaster Trends Analyst Gar Illyes. 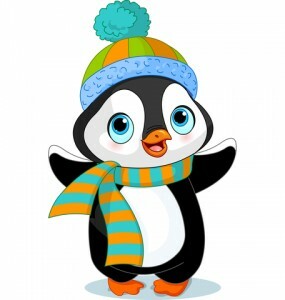 What Is Google’s Penguin Update? Penguin is designed to help Google identify and penalize websites that are considered to be spammy in nature, specifically those that engage in paid and/or malicious link building tactics as a means for increasing rankings. How Can Businesses Protect Themselves From Penalization? There are a number of approachable steps that strategists and business owners can take to see how Penguin has affected their online presence, as well as to protect their digital properties against possible penalization. Review your analytics profile to see if your traffic has experienced any dramatic changes. Diversify your anchor text so that there isn’t a predominant term or terms being used to drive artificial rankings. Try to keep your links to linking domains ratio at a minimum of 1:10. Free resources like Google Webmaster Tools can help you review the type of links your website is currently attracting, as well as remove links that are considered to be irrelevant/spammy. Verify that all external links are relevant to your domain/published article. Of course, if you are unable to follow through with these recommendations due to a lack of time or resources, make sure to give us call! If you’re keeping track of the timeline dedicated to this specific algorithm update, the last time Google officially rolled out Penguin was over a year ago in October 2014. At that time, less than 1% of US English search queries were affected. Google released its first targeted data update, which verified that all data collected from Penguin was being processed outside of the main search index. A minor update that impacted only 0.3% of all search queries. Although this was technically the fourth rollout, Penguin 2.0 had a minor impact on search listings, although the entirety of its influence remains unclear. Considered to be a data update and not a major adjustment to Google’s search algorithm, its overall impact was generally viewed as moderate by webmasters and strategists alike. After taking a year off, Penguin 3.0 was released and only affected less than 1% of all US/English queries.